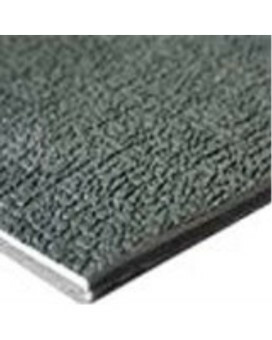 Carkart aids you shop insulation & noise control products online in USA as it understands the discomfort commuters actually face. 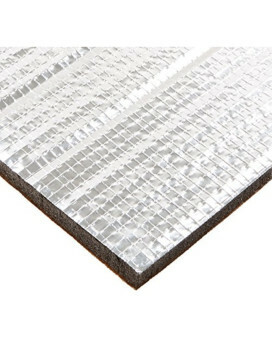 You can consider sound abosorbent material that can be set up within the interiors. 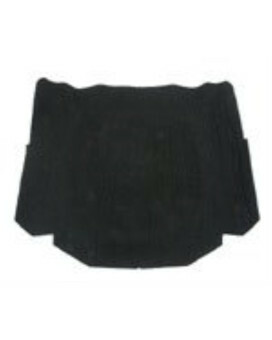 Certainly, you won't find anything expensive but you would be stealing deals within your budget. 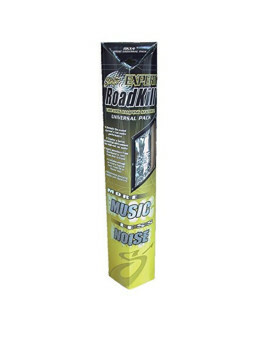 Vehicles Car 4 Hole Yellow Rubber Muffler Exhaust Hanger Bushing✓Can reduce the amount of exhaust sy..
uxcell 394mil 16.36sqft Car Noise Sound Deadener Deadening Insulation Mat Waterproof and Moisturepr.. 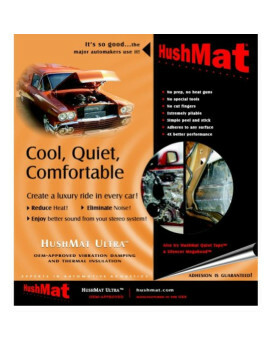 Description:Insulation Mat Acoustic Dampening Heat, Sound deadener Sound Proof Sticker100% Brand New..
uxcell 394mil 10mm 16.36sqft Car Block Heat Sound Absorption Deadener Insulation Mat 60"x40&qu.. 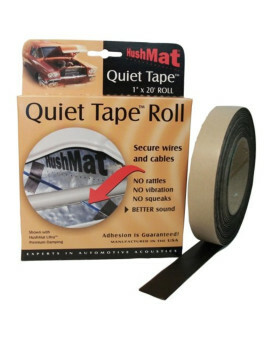 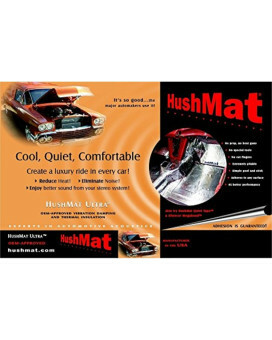 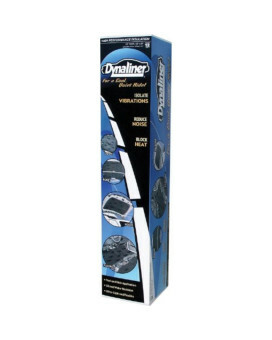 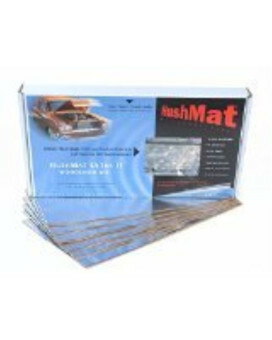 Features: This easy to install car sound deadening foam is ideal for roofs, doors, wheel arches, boo..
Stinger RKX4 Roadkill Expert Series 4 Square Feet Sound Damping Material, Universal PackProduct Pack..
HushMat HSM50100 12&QUOT; x 23&QUOT; Sheets Ultra Heat Hoodliner Reflective PadsHeat and Sound Barri..
HushMat HSM30300 1&QUOT; x 20' Quiet Tape Shop RollHush Mat 30300 Quiet Tape Shop Roll Features of ..
HushMat 10501 Ultra Silver Foil Bulk Kit with Damping Pad - 30 PieceHushMat Ultra Black Foil Starter..
HushMat 10500 Ultra Black Foil Bulk Kit with Damping Pad - 30 PieceHushMat Ultra Black Foil Starter ..
HushMat 10401 Ultra Silver Foil Floor Kit with Damping Pad - 20 PieceHushMat Ultra Black Foil Starte..
HushMat 10400 Ultra Black Foil Floor Kit with Damping Pad - 20 PieceHushMat Ultra Black Foil Starter..
HushMat 10301 Ultra Silver Foil Trunk Kit with Damping Pad - 10 PieceHushMat Ultra Silver Foil Trunk..
HushMat 10200 Ultra Black Foil Door Kit with Damping Pad - 10 PieceHushMat Ultra Black Foil Starter ..
GK Hood Insulation Pad For over 50 years the name GK has been equivalent to German qual..
Dynamat 21206 DynaDeck 54" Wide x 6' Long x 3/8" Thick Vinyl Waterproof Non-Adhesive..
Dynamat 21206 DynaDeck 54&QUOT; Wide x 6' Long x 3/8&QUOT; Thick Vinyl Waterproof Non-Adhesive Floor..
Dynamat 21100 DynaPad 32&QUOT; x 54&QUOT; x 0.452&QUOT; Thick Non-Adhesive Sound DeadenerDynamat Dyn..
Dynamat 13105 Dynaplate 24&QUOT; x 30&QUOT; Self-Adhesive Sound Deadener, (Set of 3)SPL competitors,..
Dynamat 11905 Hoodliner 32&QUOT; x 54&QUOT; x 3/4&QUOT; Thick Self-Adhesive Sound DeadenerHOODLINER ..
Dynamat 11103 Dynaliner 32&QUOT; x 54&QUOT; x 1/2&QUOT; Thick Self-Adhesive Sound DeadenerContains O..